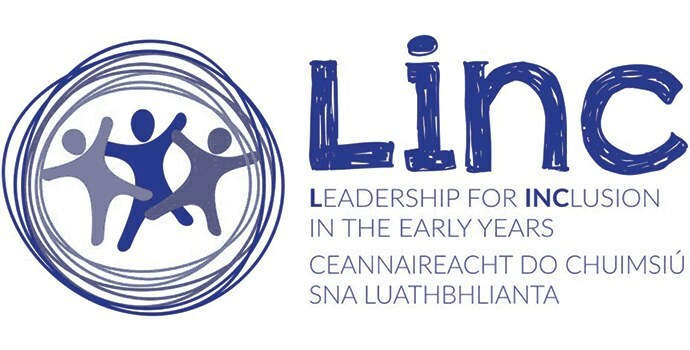 LINC or Leadership for Inclusion in early years programme, is a Level 6 Special Purpose Award. On completing the programme the early year’s educator can then perform the role of Inclusion Coordinator in their service. The programme is a blended learning model. Comprising of 6 modules. Each module combines online learning and one Saturday classroom session per module. Various assessment methods are used including course, quizzes, reflective diaries and development of materials. Assessment focuses on supporting learners linking practice to learning.